In a moment of rare team work, a group of work-release inmates jumped into action to assist law enforcement officers rescue a child trapped inside a locked SUV. NEW PORT RICHEY, Fla. — A dangerous situation led to Pasco County, deputies working side-by-side with inmates to save a baby. In a moment of rare team work, a group of work-release inmates jumped into action to assist deputies as they rescued a one-year-old trapped inside a locked SUV. It happened Thursday morning outside of the West Pasco Judicial Center. 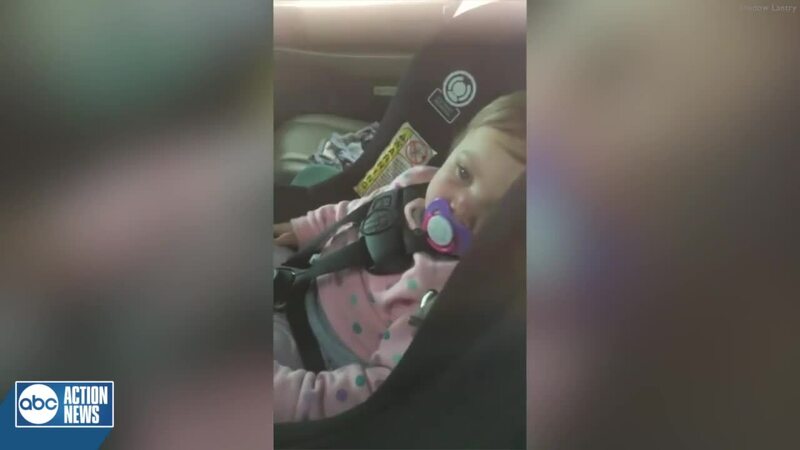 The mother said her husband strapped their one-year-old daughter into a car seat and tossed the keys in the front seat. When he closed the back door, he realized the Chevy Tahoe was locked. A group of deputies, inmates and a witness used a clothes hanger to unlock the door within minutes. The mother recorded the entire incident on her cell phone. Sheriff Chris Nocco admits it was a unique situation, allowing an inmate to use his skill set to break into a car for the right reasons. “There’s only a very small percentage of those criminals out there that want to fight us and want to attack us, but a lot of them, like these individuals, they know they made bad mistakes, bad choices but they want to do the right thing in life," Nocco said. The child, Dallas, was not hurt. The mother tells ABC Action News that she is grateful for everyone involved and hopes to learn the identity of those inmates so she can contribute to their commissary accounts.